At the opening press conference, in Split, Croatia, the 2016 Olympic Gold and Silver medal winners predicted a tough championship with any one of 30 sailors capable of scoring a top five place in the 147 strong fleet from 52 countries. 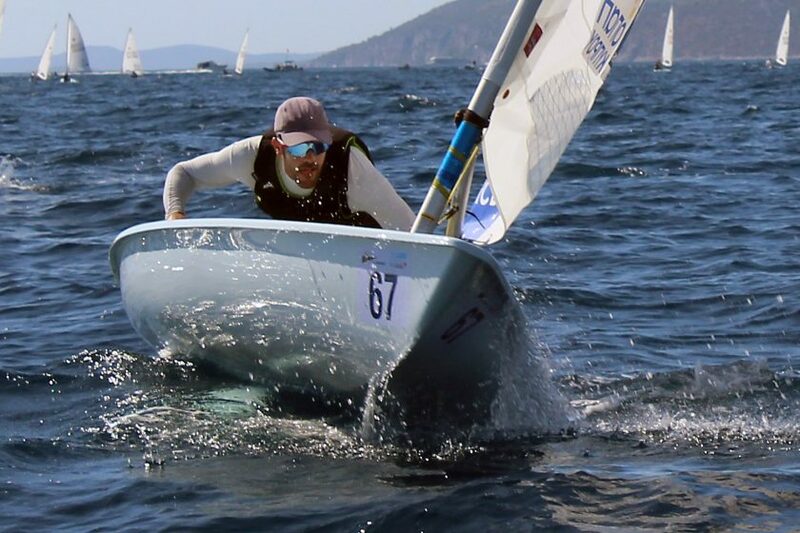 Australian Tom Burton and local sailor Tonci Stipanovic of Croatia proved the reasons for their predictions in the first of two races today when they scored an 18th and 17th position in their respective fleets. The total championship entry list is divided daily into 3 equal sized fleets, all racing two races a day in a 3 day qualifying series. After the qualifying series, all sailors will be divided into gold, silver and bronze fleets with no further fleet changes for the remaining 6 races over the final 3 days. After a brief wait on shore for the light south-easterly gradient wind to build, the yellow and blue fleets got away first time in 5 to 9 knots while the third to start red fleet required a general recall. In all races sailors in each fleet had to choose between covering the right hand side of the course for a potential sea breeze from the south west or taking the left hand side in less current. Into the afternoon the fight between the gradient wind and sea breeze increased causing shifts of up to 30 degrees and greater wind strength fluctuations. The challenging conditions turned the second races of the blue and red fleets inside out, causing the race committee to abandon both these fleet races and re-locate the race course further south as the light sea breeze failed to take hold and the gradient returned. It was a day of frustration and nerves for both the sailors and the race committee, yet the results show a remarkable consistency in the in the top 16. For the 2012 Olympic silver medallist Pavlos Kontides of Cyprus, it was perfect consistency of two wins ahead of France’s Jean-Baptiste Bernaz, the 2016 World Champion runner up, who scored two second places on the day. In third to fifth overall, three sailors finished the day with 5 points each.